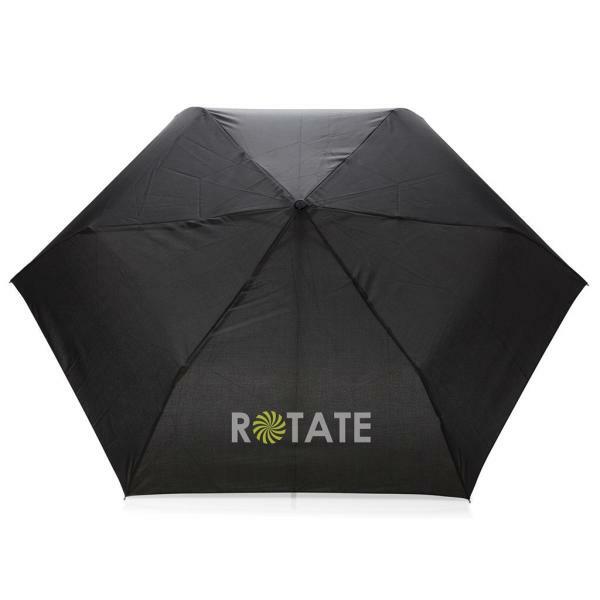 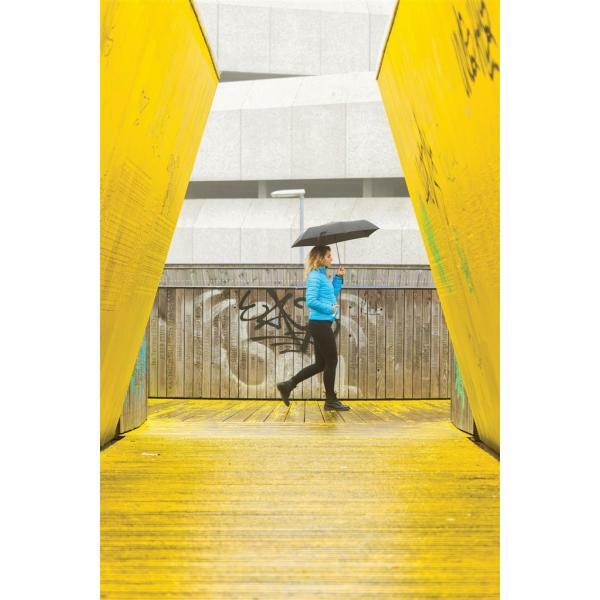 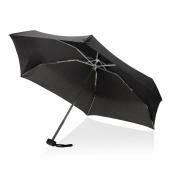 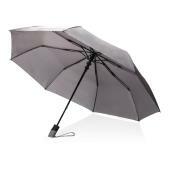 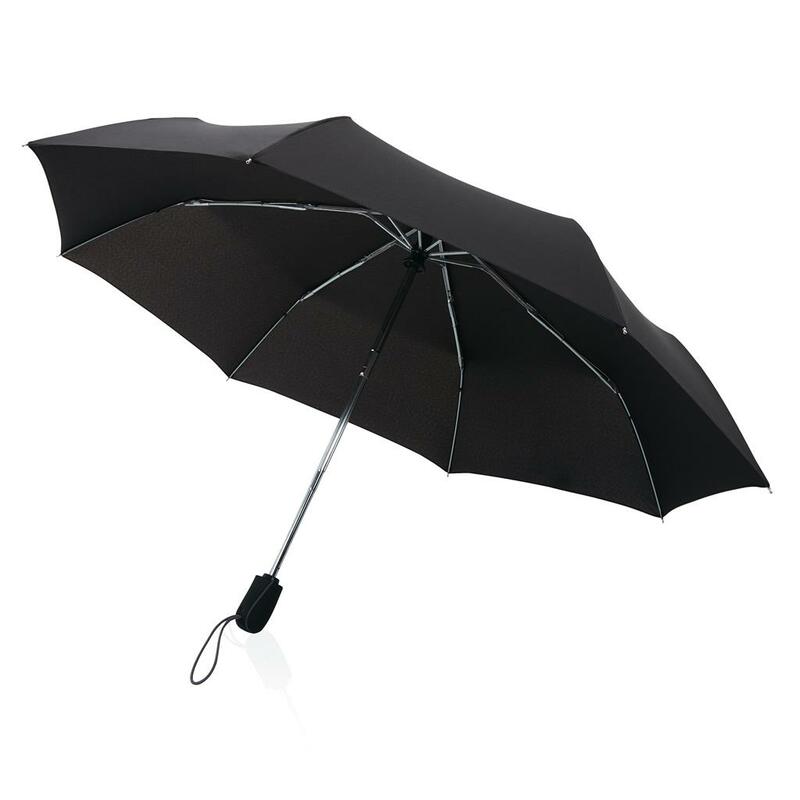 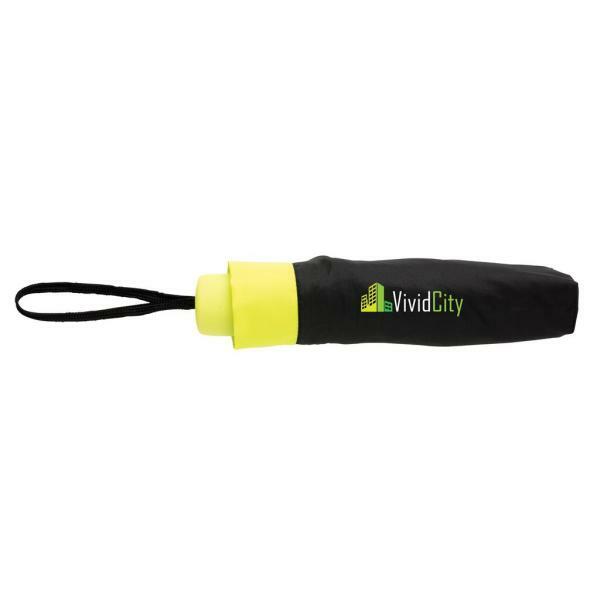 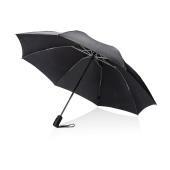 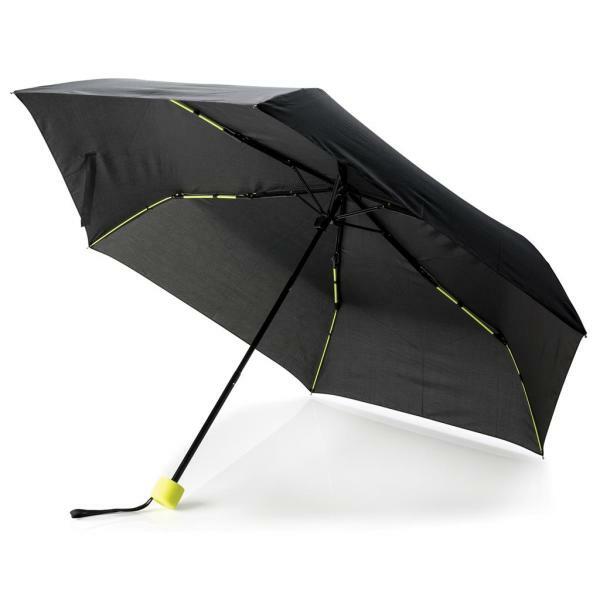 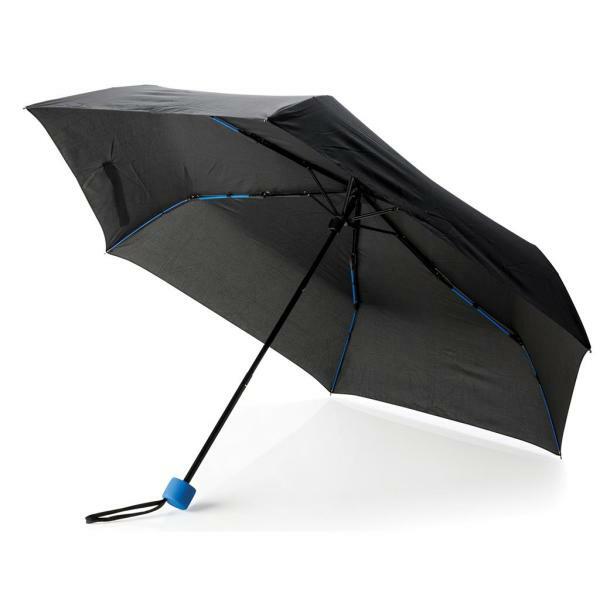 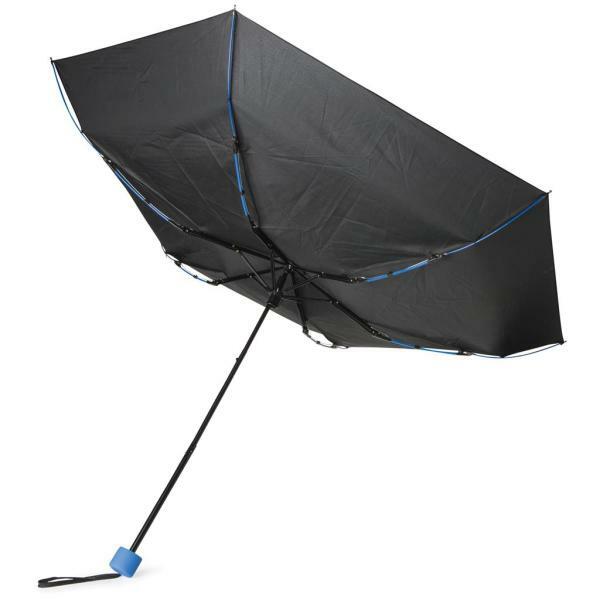 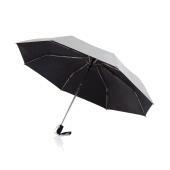 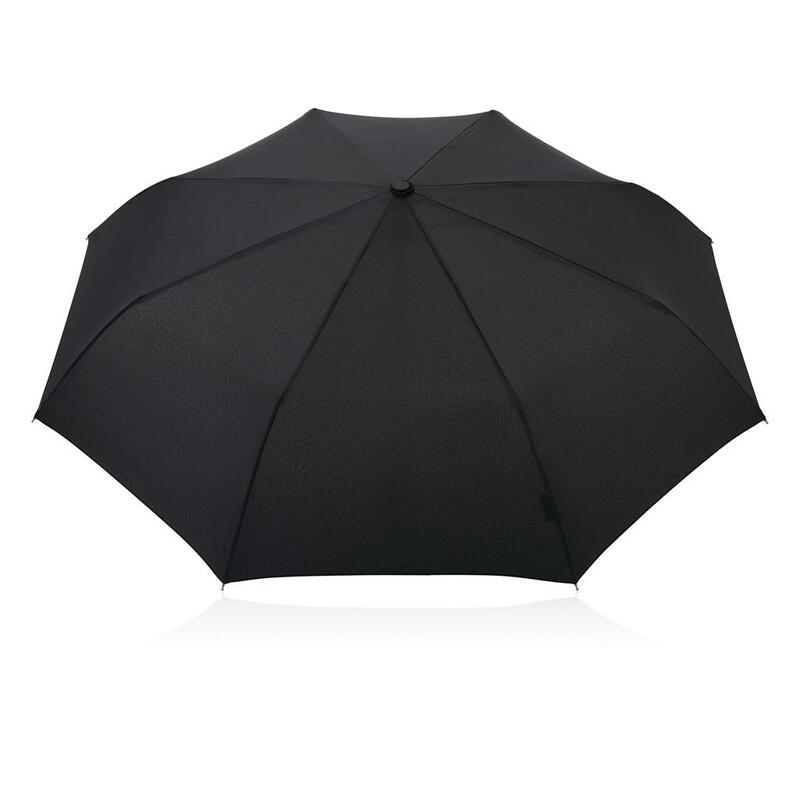 190T pongee foldable umbrella with 6 panels and manual opening. 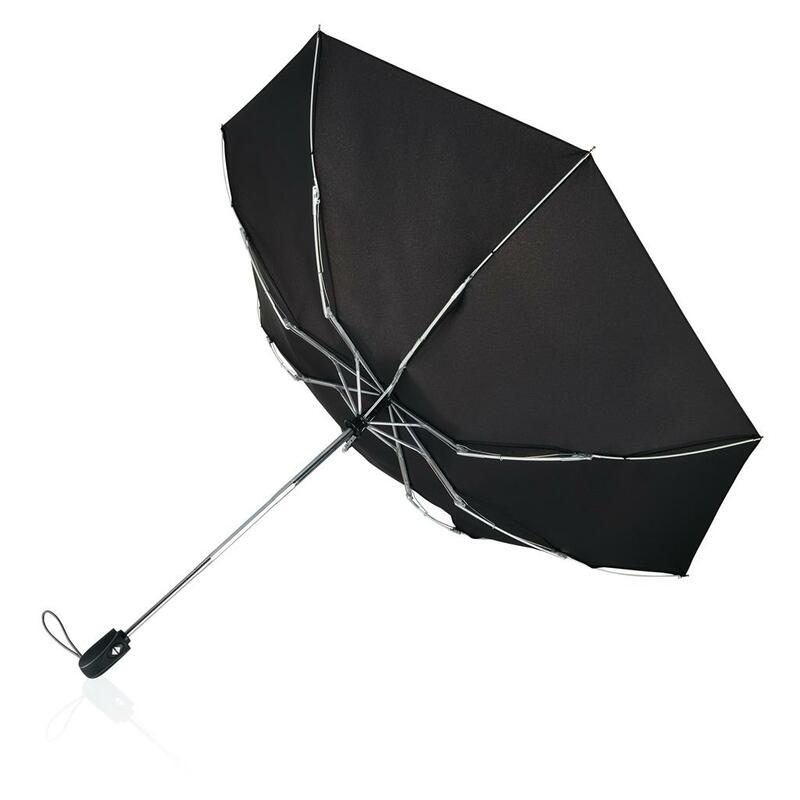 Metal shaft & frame in black color. 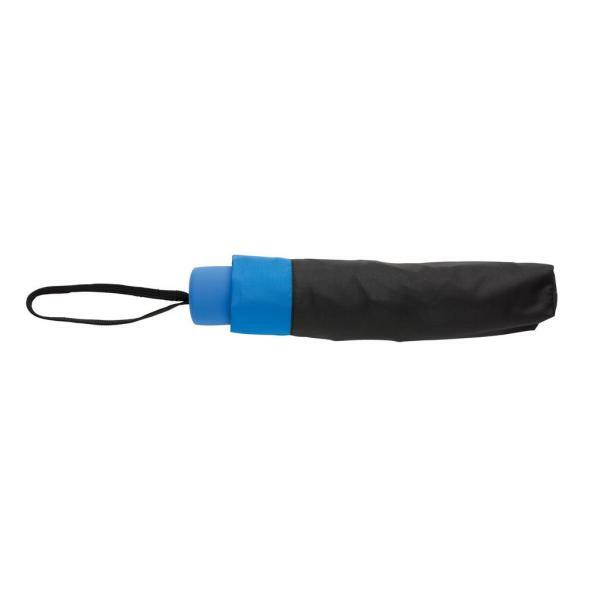 Matching coloured fibreglass ribs, handle and pouch.